Rated #1 by QuickBooks users, Method is a customer management platform that empowers businesses to thrive by streamlining operations and growing sales. Unlike other CRMs, Method’s two-way, real-time sync with QuickBooks consolidates contacts, leads and financial history, providing a complete 360° view of every customer and lead. Download a PDF version of the fact sheet for review and to share with your clients. 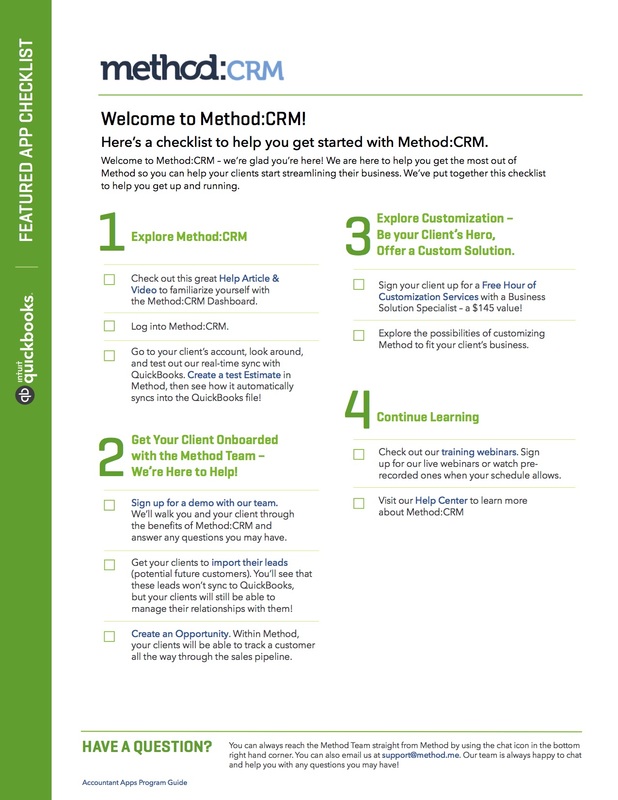 Editor’s note: Check out this Method:CRM Case Study and Fact Sheet.